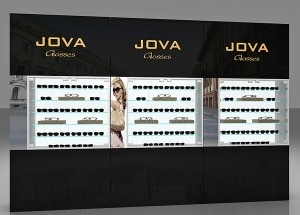 This wall optical display cabinets is used display eyeglass frame and glasses peripheral products in optical shop, mall optical kiosk. The wall display cabinet is made by wooden(MDF), glass, LED lights, metal fixtures, etc. 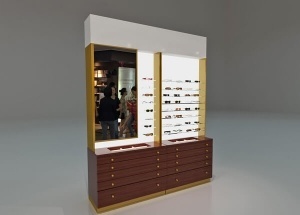 This white optical showroom display is used display eyeglass frame and glasses peripheral products in optical shop,mall optical kiosk.The shop display furniture is made by wooden(MDF),glass,LED lights,metal fixtures,etc. 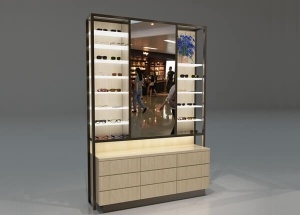 This wall optical display furniture is covered by wood veneer.It is used display eyeglass frame and glasses peripheral products in optical shop,mall optical kiosk.The shop display furniture is made by wooden(MDF),glass,LED lights,metal fixtures,etc. 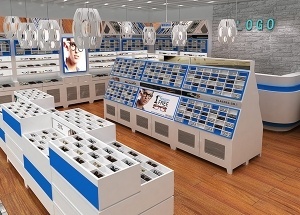 The eyeglass store design was made for w optical shop project in China, the eyeglass display cabinets mainly using white and blue baking paint. The main color of this large optical shop design is white, the optical shop furniture mainly using white baking paint. 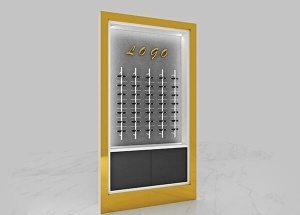 This eyewear display rods is for optical shop wall shelf display. We do eyewear shop design, product optical displays. 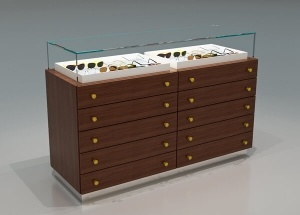 This glass top optical counter is covered by wood veneer. It is used display eyeglass frame and glasses peripheral products in optical shop, mall optical kiosk. 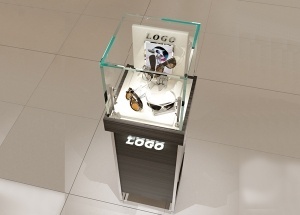 The glass display counter is made by wooden(MDF), glass, LED lights, metal fixtures, etc . This optical wall mount displays: panel ( baking paint or veneer finishes ) , glass shelves( or acrylic shelves), light box, storage canbinet with hinged door (can lock), mirror, logo, laminated deck, dust resistant, electrical cord with switch.